Upstart Sacramento Kings face Timberwolves Monday in NBA action. Written by National Basketball Association Expert Point Spread Analyst Al Presto. 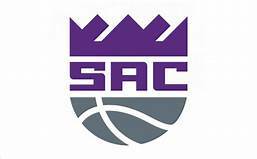 The (31-28) SU, (36-23) ATS Sacramento Kings broke a two-game losing streak their last time on the hardwood with a 119-116 victory over Oklahoma City as 6 point road UNDERDOGS ATS. Many around the NBA believe the Kings have a lot of youthful talent, but the win against the Thunder came a night after Oklahoma City defeated Utah in double overtime. Sacramento is 5-0 AGAINST THE POINT SPREAD their last five overall. The OVER is 6-1 the last seven times the teams have played. The Kings are 3-1 ATS their last four on the road. OVER bettors have made a profit in 19 of Sacramento last twenty-six vs. The Northwest division. 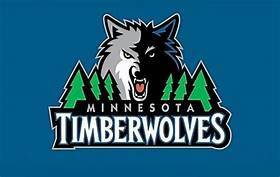 The (28-31) SU, (31-28) ATS Minnesota Timberwolves are 1-1 SU since 2019 All-Star break. Minnesota beat New York on the rad but lost to Milwaukee as 13 point road UNDERDOGS ATS. Minnesota had won three consecutive, but they were playing without All-Star Center Karl Anthony Towns who was involved in a minor car accident in snowy Minneapolis. The center suffered a concussion but is listed a probable for tonight’s game against Sacramento. Minnesota is 2-3 AGAINST THE POINT SPREAD their last five at home. The OVER is 6-1 Minnesota last seven overall. The OVER is 5-0 the previous five between the teams in Minneapolis. Minnesota is 4-0 ATS their last four following an ATS cover. 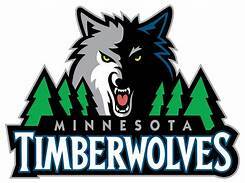 Monday’s game is 8:05 PM EST at the Target Center in Minneapolis, Minnesota. The local television networks will be broadcasting. The Betting Line has Minnesota as 3 point home FAVORITES ATS. The TOTAL is 237 points for Monday’s contest. Sacramento Kings Dave Joerger doesn’t want his team to settle for anything less than excellence. One example of his dedication to winning was berating shooter Buddy Hield (20.7) ppg for making a 32-foot jump shot at Golden State. It’s just the disciplined style of basketball Joerger wants his talented young team to play in all situations. Hield, De’Aaron Fox, along with 2018 number two overall draft pick Marvin Bagley III seems to be the team of the future out West. The problem is will they all stay together in a town that is considered the laughing stock in the NBA? A few decades ago the organization was able to keep the Chris Webber, Mike Bibby, and Dough Christie team that were a few baskets from going to the NBA finals together. Sacramento is no longer just the Capital city or cowbell town; it’ a growing metropolis. The Best NBA Handicappers at Charliessports.com recognizes an intriguing matchup with Bagley and Karl Anthony Towns of Minnesota. Both post players were top two draft picks with something to prove as they face off tonight. Sacramento Kings win total at 26′ games for 2018-19. Blizzard-like conditions caused a minor fender bender with the Timberwolves franchise player; as a result, he missed the last two games. However, Karl Anthony Towns (23.1) ppg who also has Towns has 37 double-doubles can’t pass up a chance to face Bagley 111. The teams have played three times this season with Minnesota coming out on the winning side just once. Minnesota scores an average of (112.2) ppg on (45.3%) shooting from the field and (35.5%) from beyond the three-point line. They’re last in the Northwest division, 13 games behind first-place Denver and it’s time for the talented roster to begin playing at an elite level. The Northwest is the most competitive in the Association, and the first-place Nuggets who were the only team left out of the 2018 postseason is showing they belong. Former Philadelphia shooter Robert Covington (14.5) ppg is showing fans in the Twin Cities that he’s just as efficient of a player than Jimmy Butler. This Sports Handicapper believes Minnesota needs a win tonight as they’ll be playing four of their next five on the road. We also have a premium play on the TOTAL on this contest tonight. Bovada.Lv list the Minnesota Timberwolves win total at 45 games for 2018-19. Free Pick. Minnesota-3 Points. Also Play Online Poker Plus Other Casino Games and enter some of the best Tournaments on the World Wide Web.